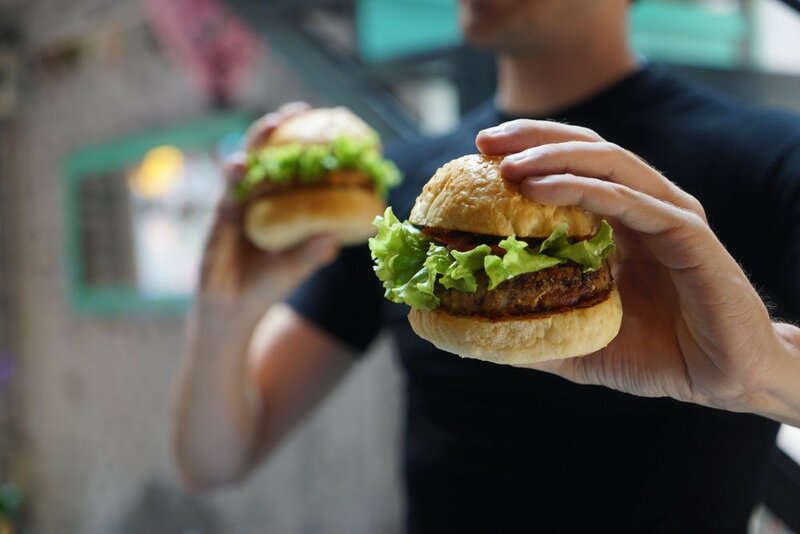 People who eat the equivalent of about two burgers a week see a reduction of more than five pounds in their CO2 emissions per day. It's fairly well known by now that the carbon emissions involved in producing and transporting animal products, especially beef, are enormous. Agriculture accounts for about a quarter of global greenhouse gas emissions. Add emissions from refrigeration, shipping and other activities required to get your dinner from farm to plate, and the food system’s share of global greenhouse gases climbs to roughly a third. The good news is you don’t have to be a vegan or vegetarian to drastically reduce the carbon footprint of your diet. Putting meat on the menu only a few times a week, or avoiding certain types of meat, can make a big difference. In a National Institutes of Health study, researchers compared the carbon footprint of various diets in the U.K. It found, unsurprisingly, that heavy meat eaters had the largest footprint and vegans had the smallest. More interesting is the decrease in carbon pollution achieved at various levels of reduced meat consumption. Low meat eaters, defined as people who eat fewer than 1.7 ounces a day, or the equivalent of about two burgers a week, see a reduction of more than five pounds of CO2 per day. Pescatarians and vegetarians cut their footprints in half and reach levels nearly as low as vegans. Data compiled in 2014 by Shrink That Footprint, an independent research group dedicated to helping people reduce their carbon footprint, tells a similar story. Unlike the Scarborough study above, it breaks food into different categories and shows the food production emissions for each. The main takeaway is that beef has a much larger carbon footprint than other kinds of meat like chicken and fish. In fact, removing beef from your diet nearly slashes your carbon footprint in half. For people who want to shrink their carbon footprint without avoiding meat entirely, avoiding just one type of meat is a much more feasible option. Data from the World Resources Institute also emphasizes the carbon benefits of reducing or eliminating beef consumption and instead consuming other animals or, better yet, legumes. The chart also measures land use, another environmental impact that varies by food type. Again, the message is clear: even if you don’t become a vegetarian or vegan overnight (or ever) you can still minimize the carbon footprint of your diet by reducing the amount of animal products - especially beef - that you eat. As a vegan, would I love it if everyone stopped eating all animal products? Yes. Would the planet be better off? Undoubtedly. But that’s not a realistic expectation. We need to embrace practical solutions for addressing climate change and creating a healthier world, and reducing meat consumption is one of them. This data demonstrates that we don’t need the whole planet to go vegan in order to drastically shrink the carbon emissions of our food system. Nate Lotze, a News Fellow for Stone Pier Press, works for a statewide conservation organization in Pennsylvania and has also spent time as an environmental organizer and organic farmer.